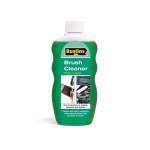 Fast acting, water soluble cleaning solution for removing paint from brush bristles. 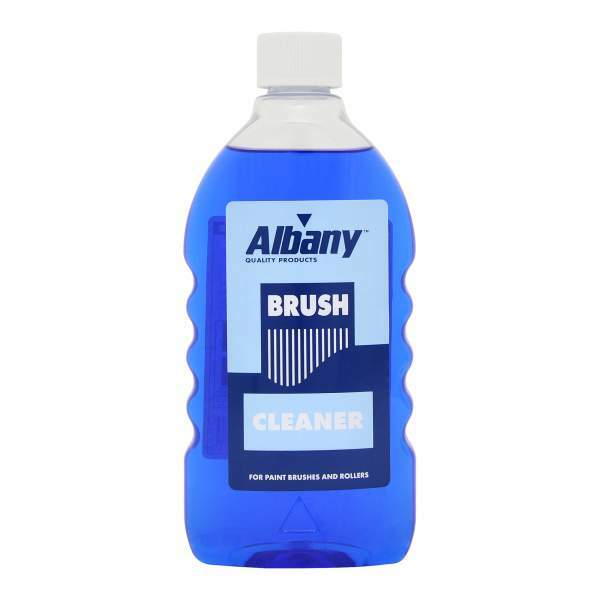 A blue, water-soluble cleaner for safely removing paint from brush bristles. 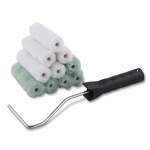 This product is ideal for cleaning paint brushes and rollers, but also ideal for roller trays. 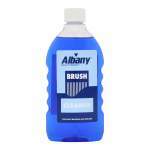 Albany Brush Cleaner can also aid towards softening hardened paint brushes. It has excellent grease removing properties from many types of materials and can be washed away with water. 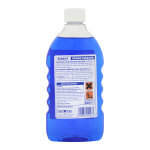 This product can be used when cleaning baths and sinks when used on a damp cloth. It also makes an excellent cleaner for car engines and removing oil spots from garage floors. Dip brush or roller into liquid and work well in, especially at the stock of brush. Rinse under tap. Repeat if necessary. Also ideal for cleaning roller trays. Allow brush to soak in liquid until softened. Working bristles to and from will speed operation. Note: If the brush is very old and paint encrusted, it will be quicker to use Paint Stripper. Ideal for cleaning baths, sinks, etc. Use on a a damp cloth. Also makes an excellent cleaner for car engines and removing oil spots from garage floors. 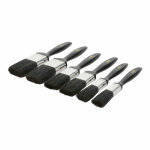 Super Brush Pack 2 x 1", 2 x 1.5", 2 x 2"